If you are looking for Sandy Bender, chances are you’ll find her in a garden. 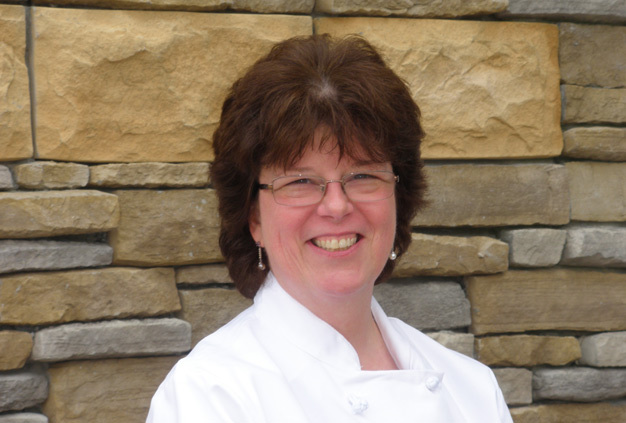 As South Franklin Circle’s director of dining services, Chef Bender brings an impressive resume to her duties at Crane House, the Bistro and, of course, Radius, the community’s open-to-the-public restaurant. Among her many noteworthy accomplishments, the Lorain native earned a degree from the prestigious Culinary Institute of America in Hyde Park, New York; helped launch Cleveland’s groundbreaking Piperade, one of the first local restaurants to forge the farm-to-table link, as well as the catering business at Sammy’s; and owned and operated an exclusive catering business, with big-name clients tied to assorted Cleveland sports franchises. But to be honest, it all started with homegrown Ohio tomatoes. “My dad and I would eat them right out of the garden, like apples,” Chef Bender recalls. And while she couldn’t know it at the time, the seeds of a career were growing in that family garden, along with the tomatoes, broccoli, asparagus and herbs. While cooking is no longer her primary job focus, those early experiences continue to flavor Chef Bender’s culinary philosophy, particularly in her work at Radius. “Radius is a true fine-dining experience, and a beautiful venue for our residents and the wider community, alike,” she says. “Just look around: there’s the soaring stone fireplace, the cozy outdoor patio, and the view of the pond from the windows. The space is accessible, the acoustics allow for easy conversation and guests can enjoy it all over wine, beer and a full list of cocktails. Among them, guests can soon count on fresh herbs and produce gathered directly from Chef Bender’s own onsite kitchen garden. 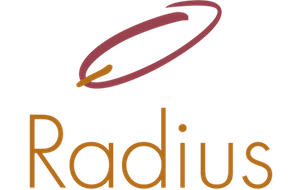 Radius is open for dinner Tuesday through Saturday from 5 to 9 p.m. and for Sunday brunch from 11 a.m. to 1:30 p.m. Click here for reservations.